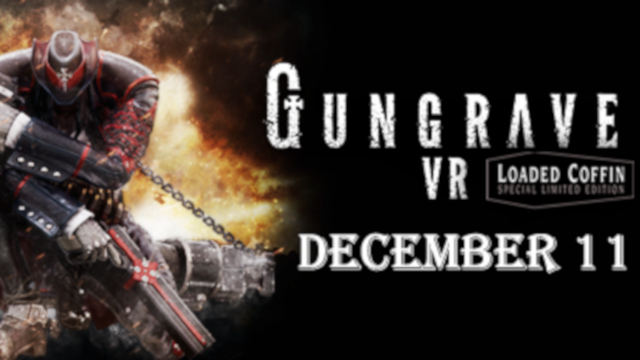 XSEED Games and Marvelous have unveiled the release date for Gungrave VR, which will be landing on the PlayStation Store before the holidays. The game will be available to players on the PlayStation 4 starting on December 11th of this year. According to their press release, the game has been rated “T for Teen” by the ESRB. Without warning, South City collapsed into a war zone, torn apart by the Orgmen, humans infected by SEED. Mika Asagi lived a peaceful existence before this calamity, watching over the undead soldier Beyond the Grave (known as Grave for short). Now it was time to ask for Grave’s help once more. Grave represents death itself, equipped with Cerberus, two huge handguns, and a large coffin. Mika and Grave now must dive into battle to restore hope for those whose lives have now been ravaged by SEED. Gungrave VR begins a new chapter of the Gungrave saga!